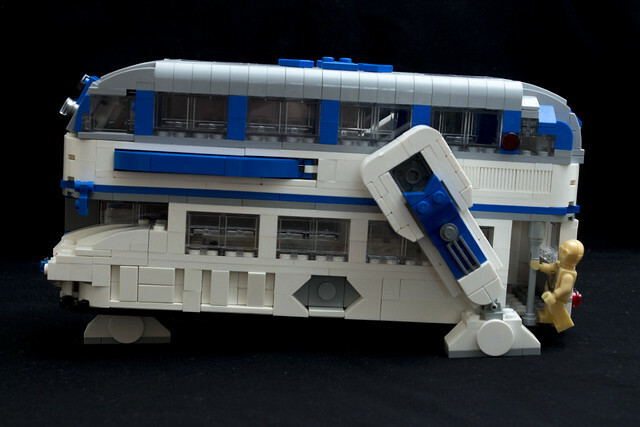 During my time in London I took a lot of busses. And while I have a soft spot for the venerable Routemaster, I would have been riding this bus all the time if it existed. 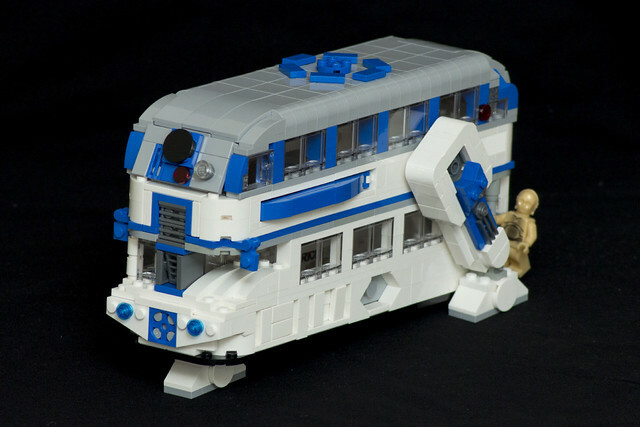 It's the R2-D2 bus, a Star Wars reimagining by builder lucbyard. I have to assume that the football hooligans that inevitable congregate on the upper level late at night can be easily ejected like Luke's Lightsaber.